About | Zeman Mortgage, Inc.
Zeman Mortgage, Inc. is a family business that has been in business since 1975. Victor Zeman is the CEO and has been in the real estate and lending business since 1964. Cathy Zeman joined the business in 1984. At Zeman Mortgage we pride ourselves on customer service. We have no voice mails, and either Victor or Cathy answers the phone during business hours. If you have to leave a message with our twenty-four hour answering service, we return all calls promptly. Zeman Mortgage is a “hands on” business with very low overhead so that we can pass on that savings in the way of great rates and low fees to our customers. Once we get your business it is our goal to keep you as a customer for life. 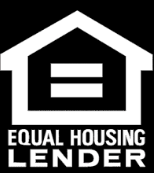 We have access to some of the best lenders and lowest rates in the country and we know how to get your loan approved. Please call us for all of your lending needs including purchases, refinances, lines of credit, first time homebuyer programs and even reverse mortgages. Please contact us directly or through our website. We look forward to working with you.